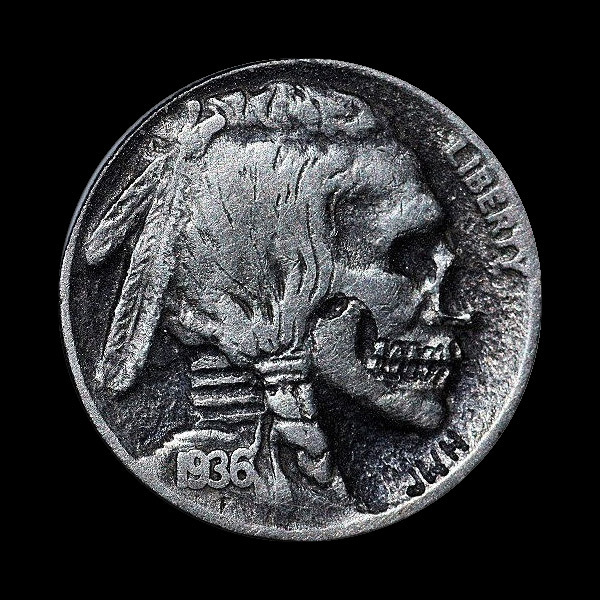 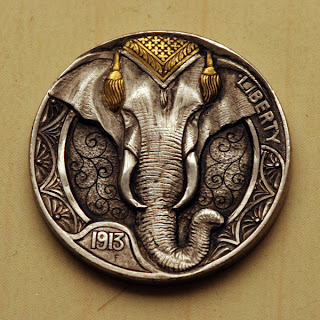 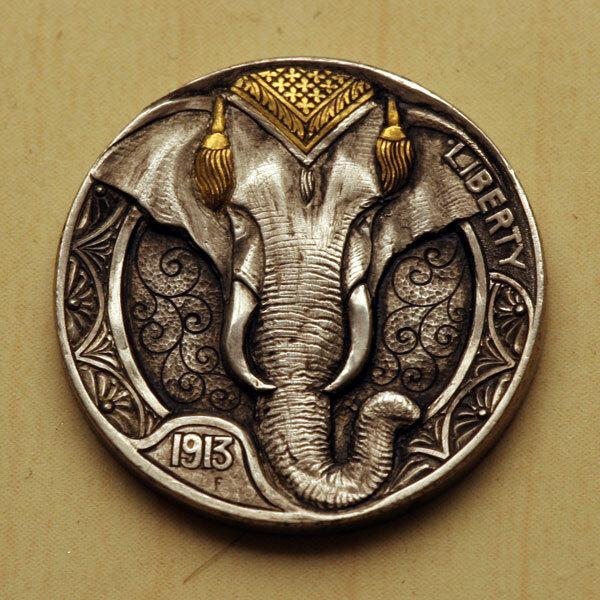 The hobo nickel is a sculptural art form involving the creative modification of small-denomination coins, essentially resulting in miniature bas reliefs. 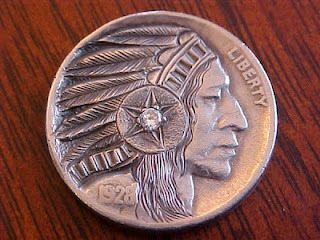 The nickel, because of its size, thickness, and relative softness, was a favored coin for this purpose. 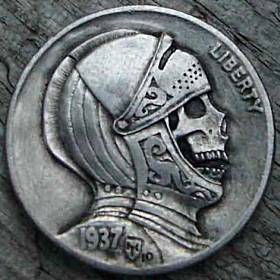 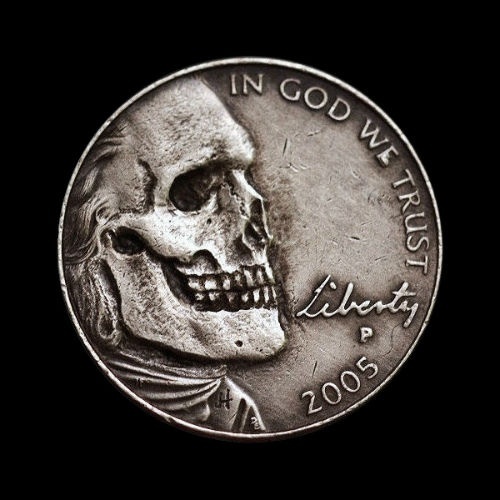 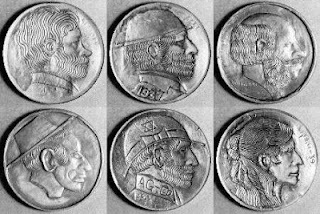 However, the term hobo nickel is generic, as carvings have been made from many different denominations. Due to its low cost and portability, this medium was particularly popular among hobos, hence the name. 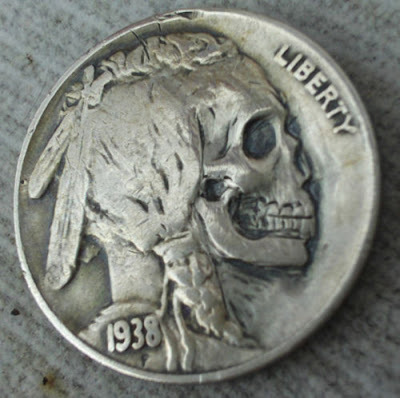 First read on these at 4q.